Every year, Rajasthan Board of Secondary Education conducts “Science Talent Search Examination (STSE)” for Science and Technology Department, Government of Rajasthan, Jaipur. This year too, this exam has been conducted on Sunday, November 01, 2015. * Students had to choose either one of the Biology and Mathematics from Paper 1 while Paper 2 was common for both. All students of affiliated/ approved schools in state (Central, Public, Convent, Private, Government, Semi-government etc.) who are currently studying in class XII are eligible to give this examination. Students can attempt only one of the Biology and Mathematics according to their stream while Physics and Chemistry is compulsory for students. Physics, Chemistry, Mathematics, Biology, General Science, Mental Aptitude. STSE – 2015 (Rajasthan) was conducted on Sunday, November 1st, 2015. A total number of 180 questions were asked. Question format was multiple choice with only one correct option out of four with no negative marking. Each question was worth 1 points, making total paper worth 180. 90 questions were to be answered from Subject knowledge (Physics, Chemistry and Mathematics/ Biology) while 90 questions were to be answered from mental aptitude and language aptitude. * Grand Total calculated for Biology and Mathematics Stream separately. 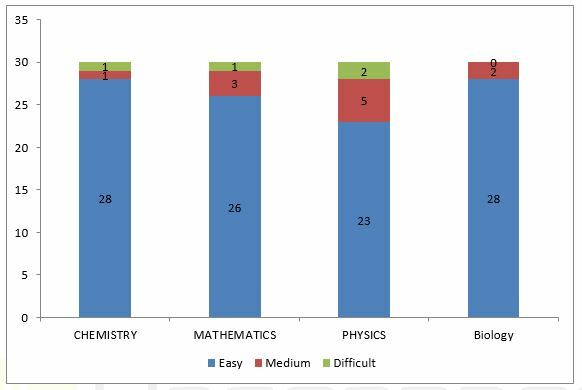 Resonance Experts feel that all subjects were of similar difficulty level, while Chemistry was on easier side compared with Physics & Mathematics. Mental Aptitude and Language was on a relatively difficult side. For Mathematics Stream Students, around 139 Marks can be considered easy overall, 29 marks are relatively difficulty and 12 marks are considered difficult by Resonance Team. 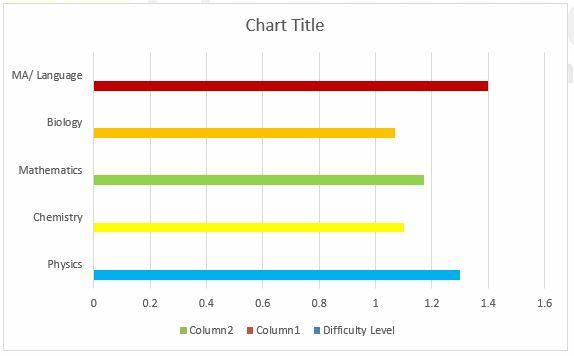 For Biology Stream Students, around 141 Marks can be considered easy overall, 28 marks are relatively difficulty and 11 marks are considered difficult by Resonance Team. Overall, it is felt that while paper is relatively easy like last year, the cut-off may remain same as last year.